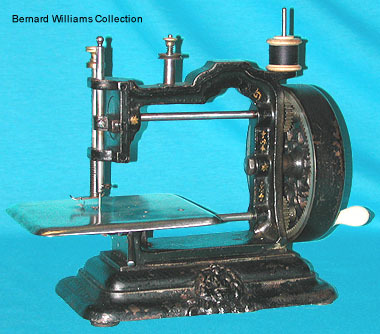 Antique sewing machine - Newton Wilson's Queen Mab. The "Queen Mab" chain stitch was probably Newton Wilson's first own-designed production model. Dating from approximately 1866, the machine sold for 3 guineas.